the mousetrap faces of those with healthy kids, shut. The difficult truth of these 21 skillful poems by Suzanne Edison on a mother’s challenges with a child’s chronic illness is crystalized in these lines from “Teeter Totter” (p. 16). It is truly a delicate yet brave exercise to express poetically the trials and hopeful episodes that rise from both fear and love. Women poets have dealt with the intimacy and revelatory moments of watching loved ones suffer and struggle, whether ultimately toward healing or palliative care. Anne’s Sexton’s “Pain for a Daughter,” deals with rites of passage and the discovery of mortality through her daughter’s loss of a pet horse to illness and then being injured when another of the beloved beasts stands on her foot. Watching her daughter while the wound is cleaned, she is powerless to stop the excruciating pain, and worse, the realization that comes with it when, instead of calling out for her mother: “ …she bit the towel and called on God/and I saw her life stretch out…/I saw her torn in childbirth,/and I saw her, at that moment,/in her own death and I knew that she/ knew.” Poet Marcia Slatkin has written about her experiences with a mother who had Alzheimer’s, and watched a vibrant and irascible soul gradually become diminished and dependent, as in “My Hollowed Mother,” a poem from her book, Not Yet, that acknowledges “…her shrunken contour/ a gourd speckled/with mold.//When I lift her,/she feels light,/almost empty,/her speech/ a scattered moth’s flight” (p. 82). by disease, thinning ghost on X-ray’s map. a spot I could not reach. You hated my touch, my words, poison darts. In “Betrayal” the poet regrets her role as medical co-conspirator, tormentor: “Each time the plasma of others, spun and distilled,/a cornucopia of chemicals, drips through/ tubes and time and tempers she tries/ to disappear./// I am her voodoo doll, her urn,/ made to know, to name, to hold–/burning, silent howls” (p. 5). In “St. Biopsy,” the terror of prediction rises when “This doctor cuts/ her waning thigh, pries apart sinew and tissue, takes a piece of muscle to read like tea leaves.// The knife’s serrated breath/ haunts my sleep, whispers:/ The edge is always here/ you’ve no idea how close” (p. 6). 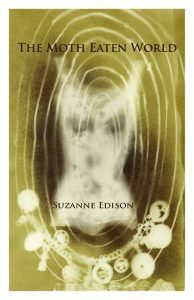 Suzanne Edison’s precise and unyielding poetry ultimately speaks with tenacity and determination, expresses both the panic and the perseverance when caring for a seriously ill child. Mindy Kronenberg is an award winning poet and writer with over 500 publication credits world-wide. She teaches writing, literature, and arts subjects at SUNY Empire State College, edits Book/Mark Quarterly Review, is a staff reviewer at Weave Magazine, and the author of Dismantling the Playground (Birnham Wood) and Images of America: Miller Place (Arcadia).